Create a sound studio for a composer. We chose to create a single volume structure in the spirit of a rural outbuilding. The main open space is for listening, with the composer sitting within a dense, solid enclosure, half buried in the ground. The lower walls are lined with shelves for storing albums and compact discs, which are also designed for acoustic enhancement of the space. 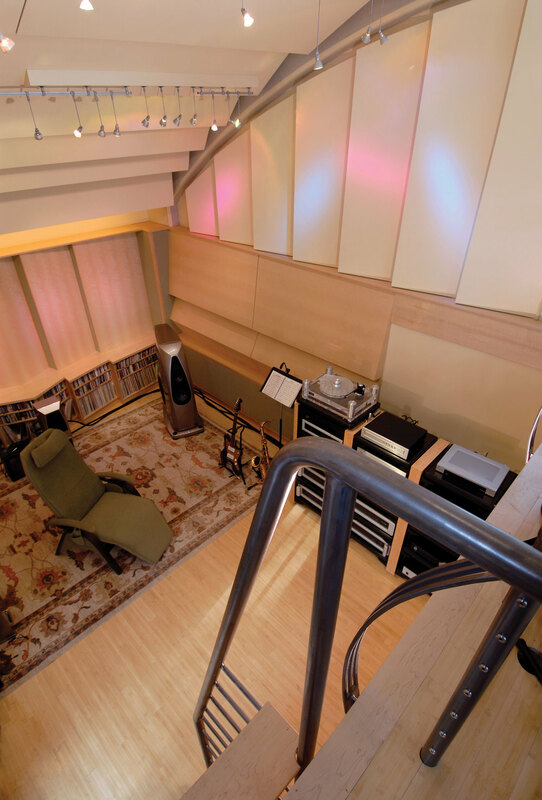 We designed a loft level behind and above the listening area surrounded by windows for inspirational instrument playing and composing. This “hayloft” perch offers views across the owner’s property and surrounding woods. The area under the loft contains a sleeping platform with Pullman-style kitchen equipment, a bathroom, and mechanical closet. The exterior is clad in stone from the loft level down into the ground and natural cedar between the roofline and stone. 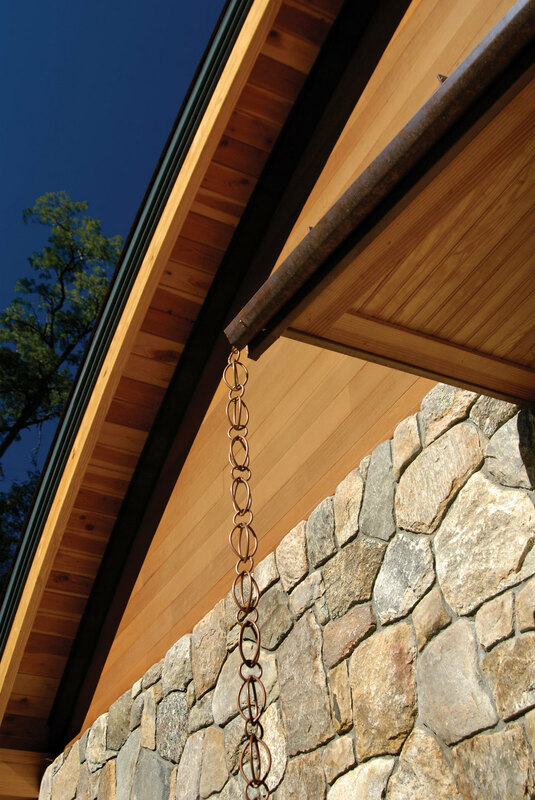 The green patina of the copper roof and window frames, the brown cedar and local stone were chosen to harmonize with the wooded site.